The Landmark Cases series highlights the historical antecedents of what are widely considered to be the leading cases in a discipline, and seeks to provide contexts in which to better understand how and why certain cases came to be regarded as the 'Landmark' cases in any given field. 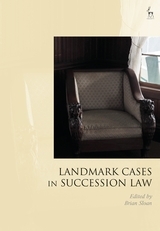 Succession law's long pedigree, near-universal application, immense capacity for human interest stories, somewhat uncertain future in England and Wales, and close connection to demographics make it an ideal candidate for a Landmark Cases volume. 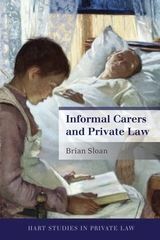 The distinguished contributors to this collection consider cases ranging in decision date from 1720 to 2017, and covering issues such as will-making and interpretation, the position of beneficiaries and personal representatives, testamentary promises, and the extent of testamentary freedom in England and Wales and beyond. The cases are relevant not only to scholars and students of succession law per se, but also those working in fields such as tax, trusts, tort and land law. They raise issues as diverse as class, colonialism, familial dynamics, expectations and obligations, mental health, and the proper roles of the legal profession and the welfare state. The collection will provoke much discussion on what makes a 'Landmark' case, as well as on the peculiarities and limitations of the case law method.